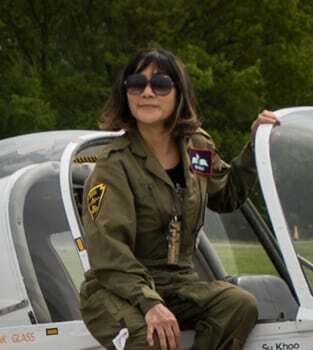 Su Khoo is a freelance aviation photographer, private pilot and car enthusiast based in the United Kingdom; she is married to an RAF fighter pilot, now retired but who still flies. Su and her husband Derek own an ex-RAF Scottish Aviation Bulldog aircraft that is the camera ship they use for light aircraft formation air-to-air portraits. Although her subjects are primarily in the UK private general aviation sector, through Derek she has access to events and air shows with military connections. Her images aim to give an insight into the very special world that is aviation, and to capture the spirit of the enthusiastic and dedicated people who make it what it is.